On International Women’s Day 2016, the International Organization for Migration (IOM) reaffirms its unwavering commitment to gender equality and empowerment for the hundreds of millions of women and girls across the globe who have left their homes, whether by force or by choice, and often in search of a better life. Like all migrants, these women and girls demand our attention and must be at the centre of our global development agenda. The United Nations’ official theme for this year’s International Women’s Day , “Planet 50-50 by 2030: Step It Up for Gender Equality”, promotes a bold vision for ensuring that gender equality, women’s empowerment and women’s human rights play a central role in achieving the recently adopted 2030 Sustainable Development Agenda . Fundamental to the SDGs is their emphasis on equality, empowerment and inclusion irrespective of gender, race, ethnicity or origin. 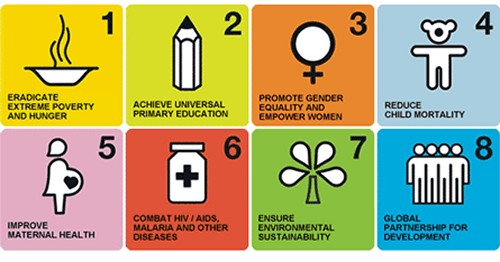 This universal application of the SDGs is consistent throughout the 17 goals. Moreover, the principles of equality, empowerment and inclusion are explicitly pointed out in SDG 5 on gender equality and women’s empowerment, and in SDG 10 which refers to social, economic and political inclusion for all. Many migrant women and girls might also undergo certain forms of violence that have been brought to host communities, such as harmful cultural practices like female genital mutilation. And for millions of women and girls who are victims of trafficking, violence is the distressing cause of their migration. Compounding the situation even further is that the prevalence of violence against migrant women and girls tends to reinforce gender inequalities. The second issue concerning equality is the notion of intersectionality. To fully understand the specific advantages and disadvantages experienced by migrant women and girls, we must consider how different personal factors intersect with each other, rather than thinking of these factors independently. It’s clear that many of the challenges to development affect and are affected by the experiences and concerns of migrant women and girls. We will only be able to eliminate violence and discrimination, increase economic and educational opportunities, and achieve overall equality, including gender equality, by fully including migrant women and girls in the development equation.